A Mother’s Day Tribute to MilkTruck. It didn’t seem right to celebrate Mother’s Day without talking about the “Foster Mother’s of the Human Race“. And if we are going to celebrate this day with our ladies, on our farm it’s only fitting to talk about our greatest cow, MilkTruck. The queen of the farm. 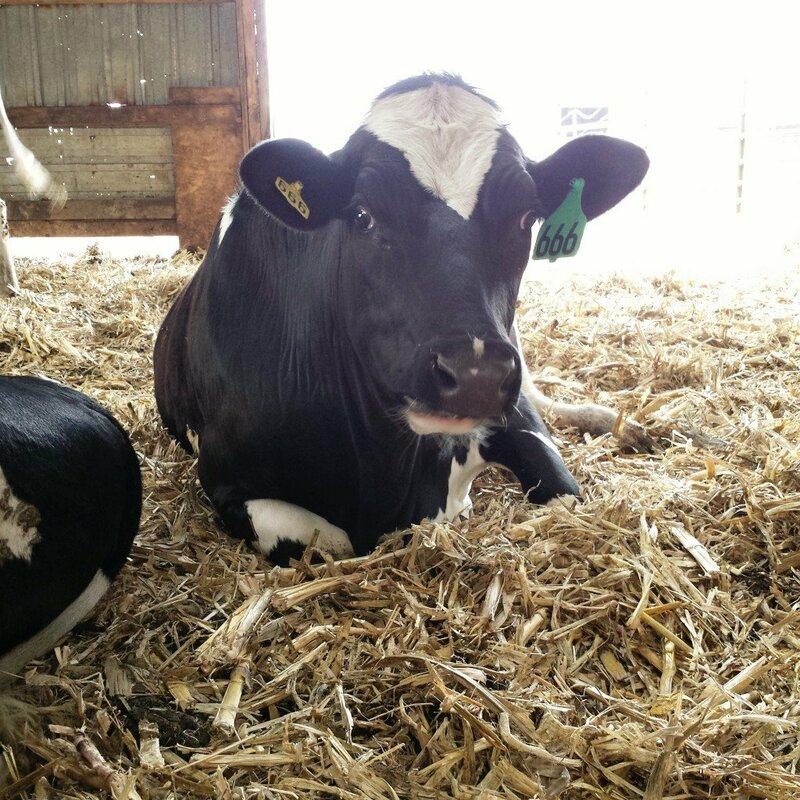 MilkTruck is our oldest cow, she is 9 years old and is in her 7th lactation. 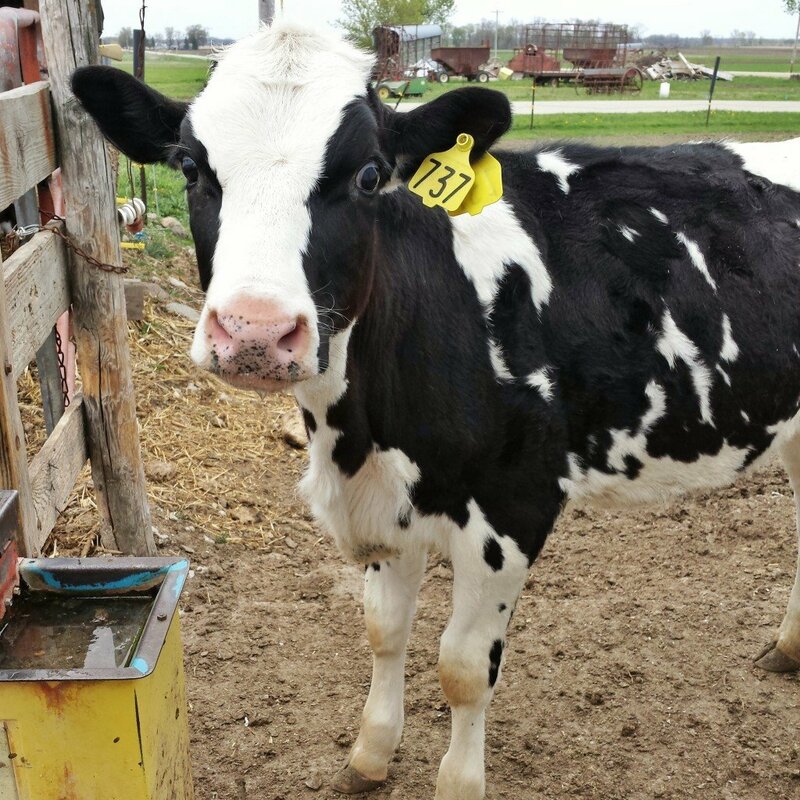 Her real name is Confection, but MilkTruck fits her personality and performance better. She is all business, she does not want to be loved on or petted, she wants to eat, sleep and milk. In her 7 lactation cycles, she has had 7 daughters. All but one, her oldest, are on our farm and the only reason her oldest daughter isn’t on the farm is because she left to live at Hub’s brother’s farm when they were just getting started. The MilkTruck family has produced almost 485,000lbs of milk to date! That’s more than 55,100 gallons of milk! Let’s meet the MilkTruck Family. 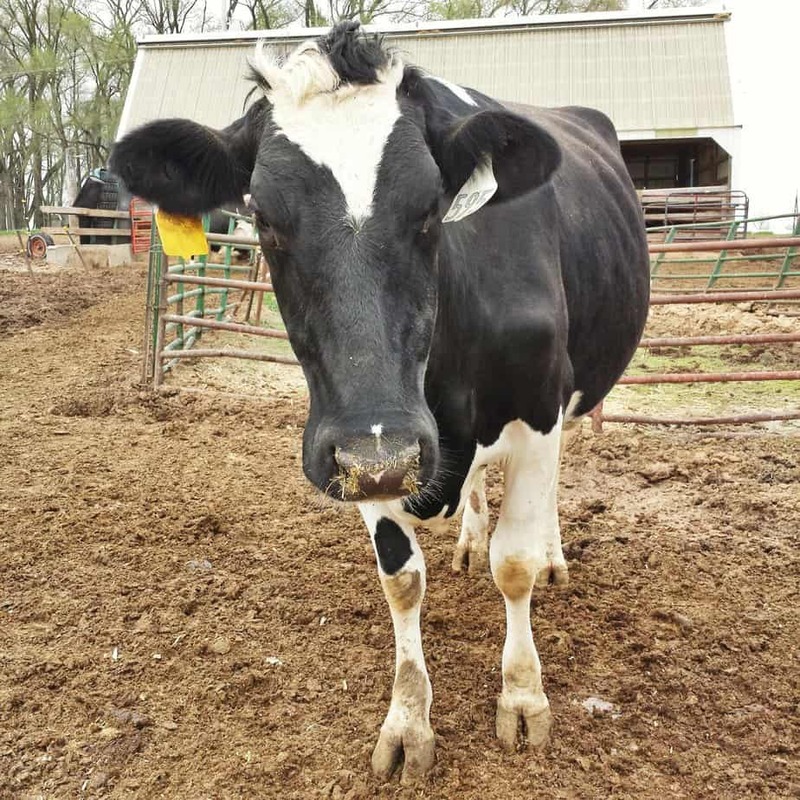 Canga- The oldest MilkTruck daughter on the farm. Has her mother’s attitude. 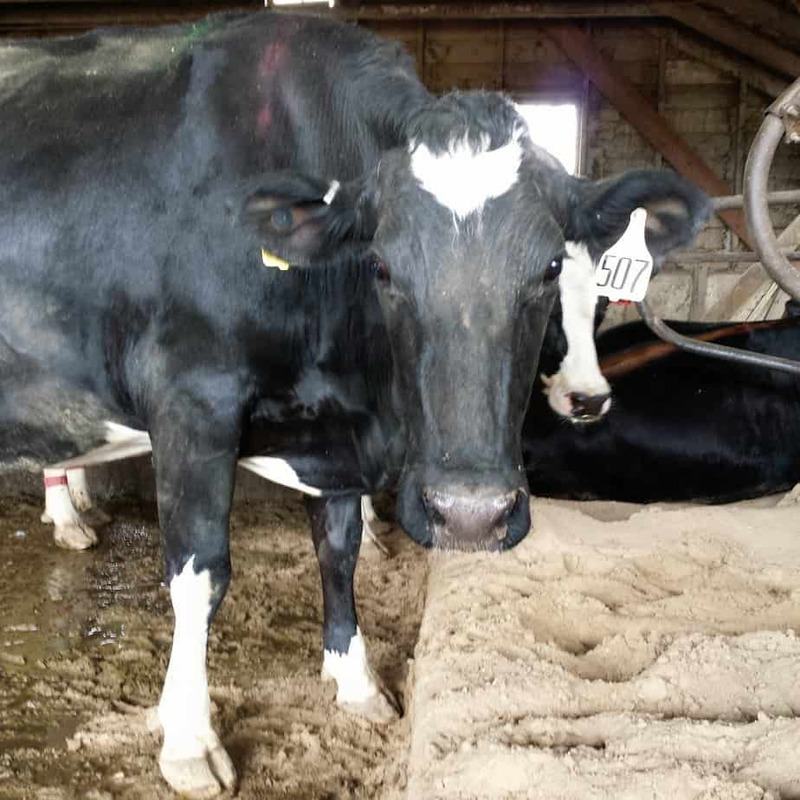 Cordial- She has been leading the herd in milk production for the last few months, giving 170lbs of milk each day! Conway- MilkTruck’s “prettiest” daughter, she could go to a cow show and do well. She’s dry now but will be calving next month. Cooler- The only one of MilkTruck’s daughter’s that is actually friendly! She is also dry and due to calve in July. Culinary- Just by luck she ended up with the number 666. Fitting to her number, she is a difficult heifer to work with. She will have her first calf this winter. Christmas- This is MilkTruck’s youngest daughter. Although she was born a few days late, Christmas was due on Christmas and kept us close to the farm during the holidays awaiting her arrival. The MilkTruck family has been a tremendous group of cows! 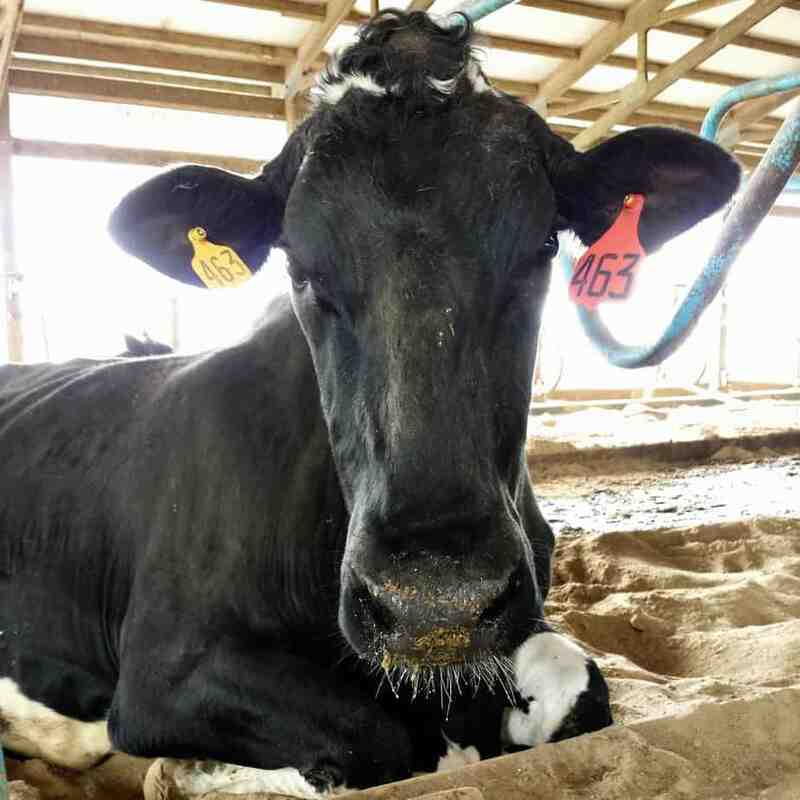 Her first granddaughter will be calving and joining the milking group in June and we are excited to see if the 3rd generation will be as great as the first two! Is Milk Safe? How do I Know it’s Free of Antibiotics? « Have you heard about the Great American #MilkDrive? 8 Comments on A Mother’s Day Tribute to MilkTruck. Great Mother’s Day post Carrie. Love learning about your dairy farm. More seriously, looks like some beautiful, well-cared for critters from good stock, though Dad’s not around to tell me what exactly I’m lookin’ at. Though, someone’s gonna have to have a talk with Cooler about showerin’. Are farmers getting screwed? What about co-op members – are they locked in or do they also sell to places like Kroger? Also, any food for thought about recent farm-related bills or insight? I’ve seen food prices rocket up with no obvious reason, which puts me between a rock and a hard place with my monthly shopping, and prompts questions like I’ve outlined above. Welp I’m not Carrie, but I am a dairy farmer so I can tell you that a lot of the financial setup depends on which coop or company you sell your milk to/are a member of! I’m part of Upstate Niagara which is a farmer-only-owned processing co-op. 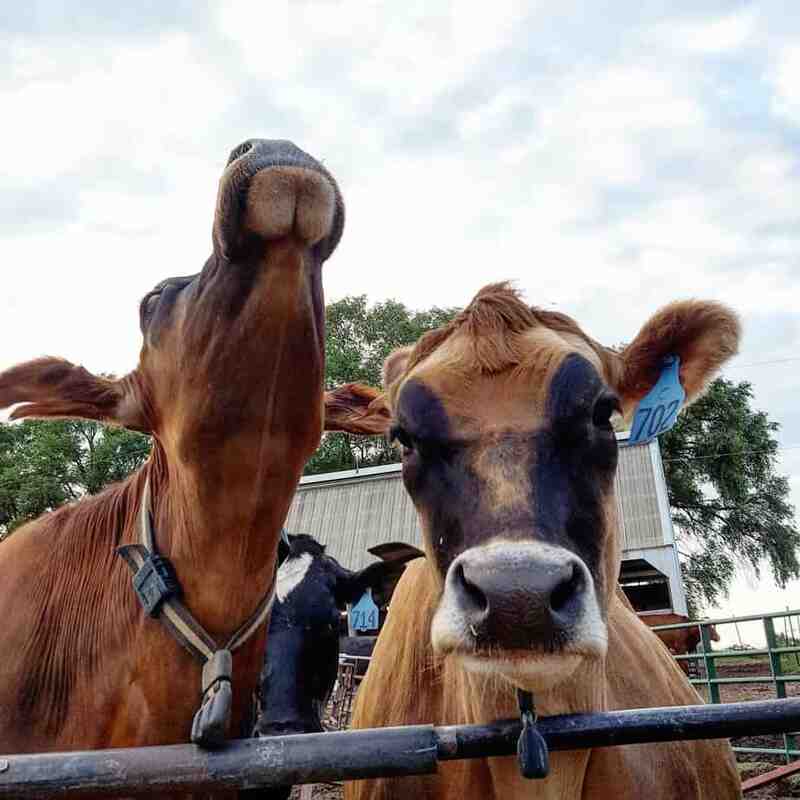 That means that only people who own the equity and are on our board are neighboring dairy farmers (although we do have an extensive, excellent staff that the coop hires) and that our coop does all our own processing – we own the milk, the milk plants, and the final product that goes to the store. The coop is the one that bids on/decides which stores to have our products in, and many plants produce both “name brand” and “store brand” product lines in the same facility from the same milk; the difference is often the cost of marketing the “name brand”. But, some coops are just marketing/selling coops – the coop members only own the milk pooled in a large enough quantity that an outside processing company will buy it. 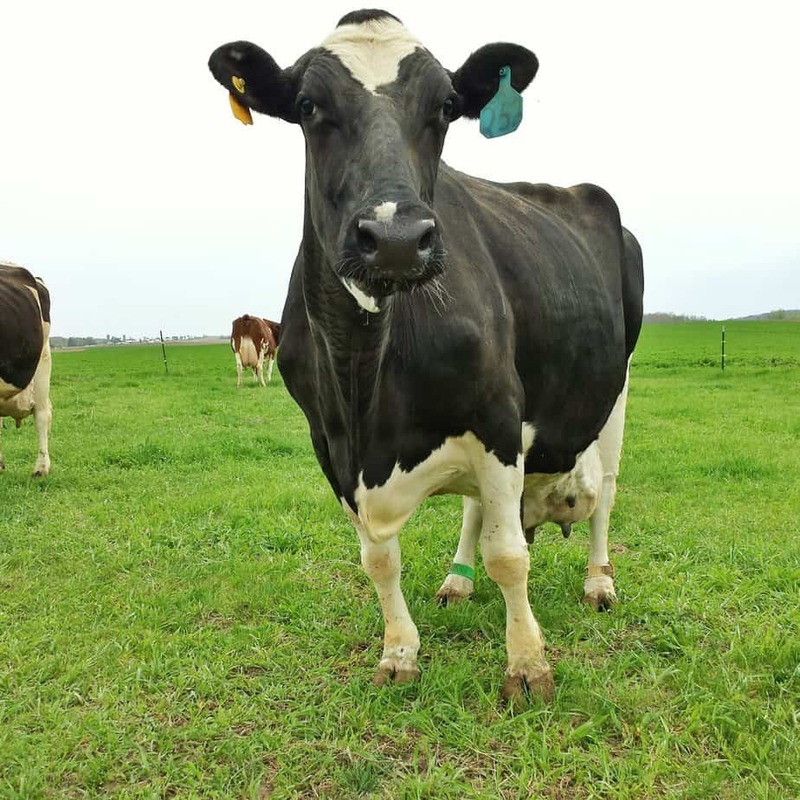 There’s pros & cons to both set-ups, but I will say that our coop has done well over the last decade and therefore most of the member-farms have gotten a good return-on-equity check each year in addition to market-or-slightly-better prices for our milk. 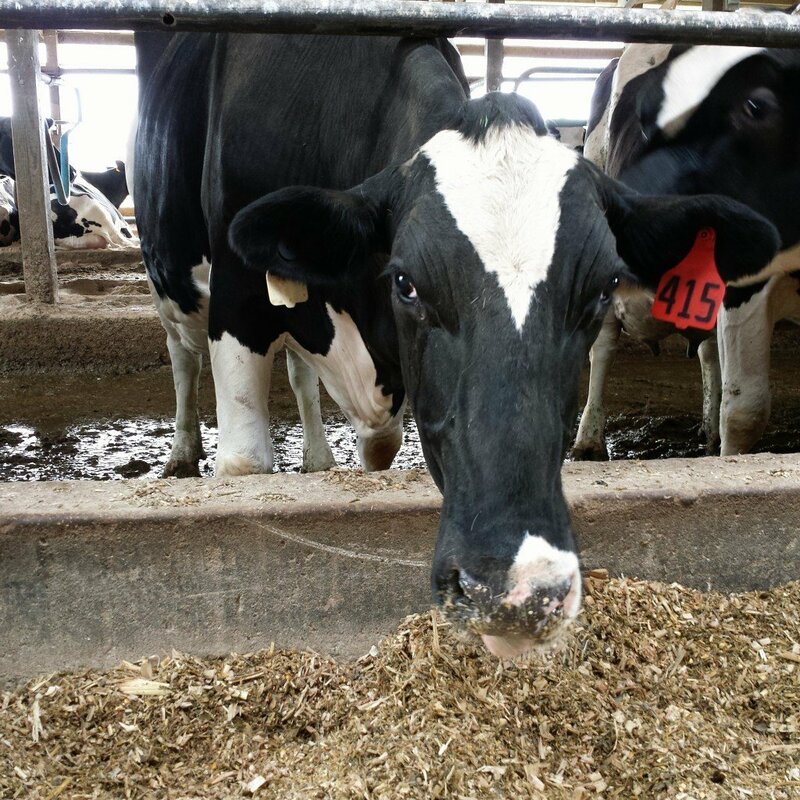 With dairy farm economics, there’s a second major factor: costs, of which the largest volatile one is feed. So on dairy farms it isn’t enough to look at how milk income we get, but how much also we have to spend on feed (note that most NYS farmers grow 70-90% of their own feed, but there’s costs there too), so the margin between milk income – feed costs is a better indicator of dairy farm prosperity in a given region. Milk price, and other food prices, often have national and global factors behind their rise and fall these days because food is now shipped nationally and globally all the time. Most protein sources (dairy products, meat products) are going up quite a bit because there is strong global demand for protein as the relative wealth of developing nations increases (China is a huge factor here – they have a growing middle class that wants better nutrition AND they also often distrust their local food supplies for good reason, unfortunately). Drought is also another common factor – drought in much of the “cattle country” of the USA has driven beef prices sharply up, and drought in California that grows a ridiculously large percentage of USA fruits, veggies, & nuts are driving up those prices. Also, there is a new disease of pigs called PEDv that does NOT hurt humans, but it is very lethal to pigs! So that’s made pork products much more expensive (and is only going to get worse before it gets better) in the last 6 months. There’s other factors, too, but those are the big ones I can name off the top of my head. Oh, heck – forgot to ask…what’s on Milktruck’s hind legs right above the hooves? Looks like identification bands to me (little plastic removable bracelets). A lot of times when a cow is being milked it is easier to see her leg than her head where the tags are, so we use the different colored “bracelets” as “hey pay attention this cow is special because of X” reminders. X could be that the cow only produces milk in 3 of the 4 teats, or that she’s in a special herd group, or that she was sick with something…. each farm has their own codes so Carrie would have to explain what those two colors mean on MilkTruck. I love a great cow family, and Milk Truck’s sounds like an impressive one. I love this article. Great group of Holsteins!